Comharchumann Forbartha an Leith Triúigh offer a Community Refuse and Recycling Service. To avail of this service simply purchase a refuse bag (€5) or a recycling bag (€2) from Halla Le Chéile or Siopa an Phobail. Please note the Community Refuse and Recycling is monitored 24/7 by CCTV to ensure the service is not being abused by people misusing the service. 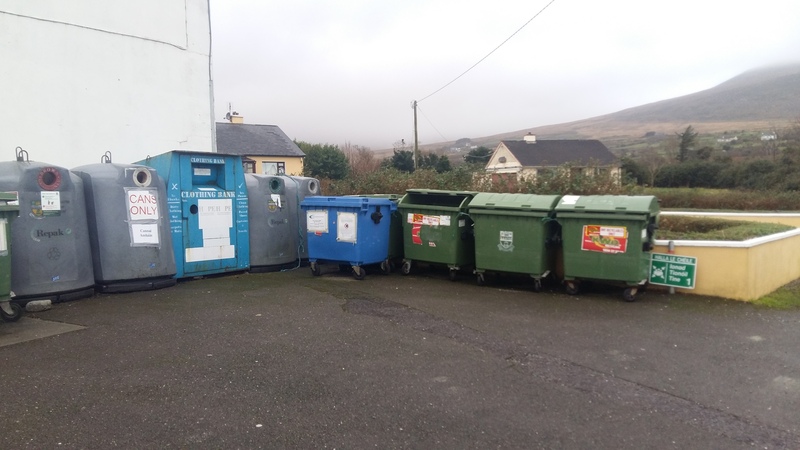 Comharchumann Forbartha an Leith Triúigh would like to take this opportunity to thank the public on their continuous support of the Community Refuse and Recycling Service.